(4) Material: galvanized steel; double walls, thickness of outer plate: 1.5mm, thickness of inner plate: 0.8mm, with 40mm PEF heat insulation between two walls. 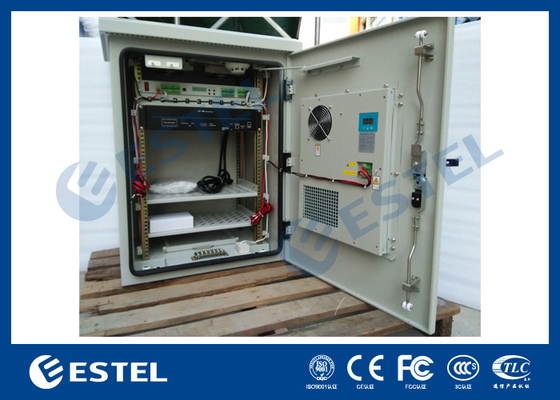 The ET655290P Pole Mounted Outdoor Telecom Cabinet is widely used in wireless communication base station, such as 4G system, communication/network integrated service, access/transmission switching station, emergency communication/transmission, etc. 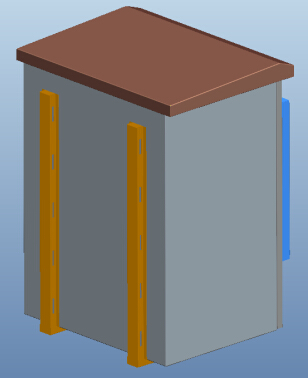 3.1 Cabinet Structure: the cabinet use sandwich structure, outer plate is 1.5mm galvanized steel, inner plate is 0.8mm galvanized steel, with 40mm insulation between outer plate and inner plate. 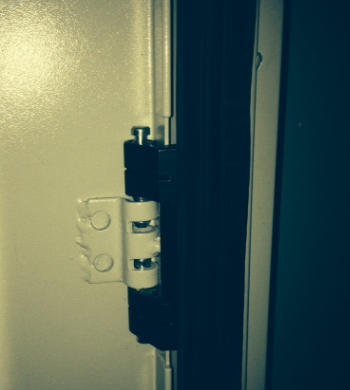 3.2 Door and Door Lock: The cabinet includes one front door. 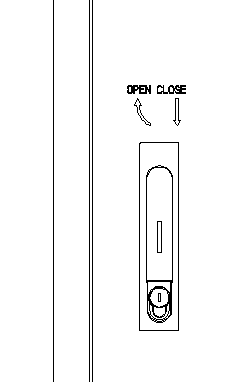 The door opening angle is larger than 110° and the door limit device can limit the opening angle. The lock is theftproof three point lock, supports padlock. 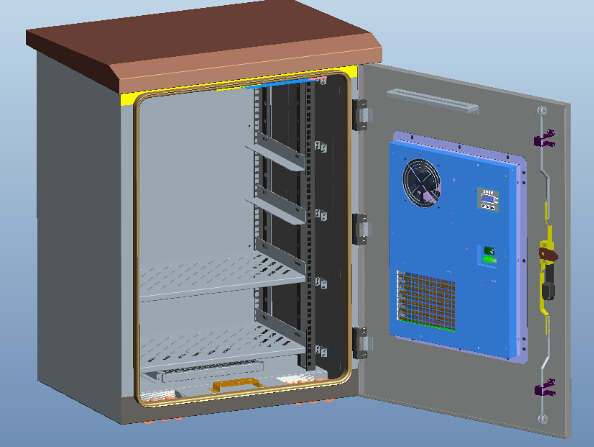 4.2 The cabinet use DC48V air conditioner and fans for cooling. 4.3 The cabinet includes -48VDC LED lamp for illumination. 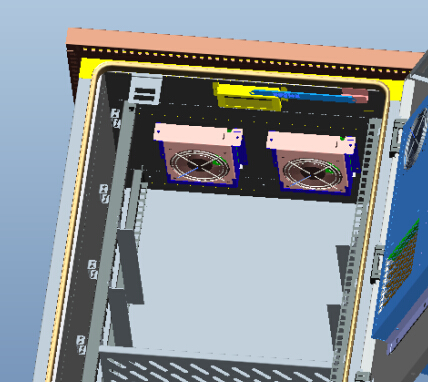 4.4 The layout of the cabinet is reasonable, which will facilitate cable access, fixing and grounding. 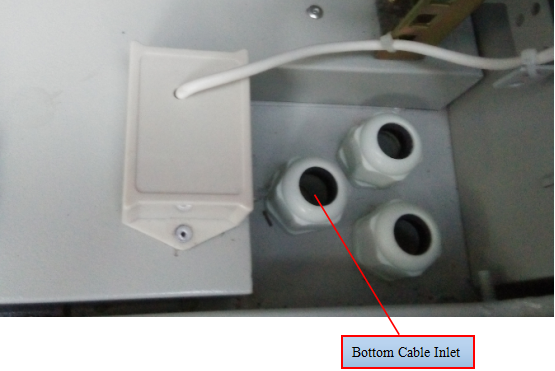 There’re cable entrance holes individually for power cable, signal cable and optical cable at the bottom of cabinet. 4.5 All the cables, seal and insulation material used in the cabinet are made from flame retardant materials. 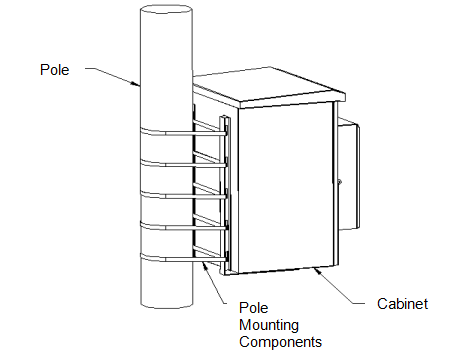 4.6 The cabinet use standard 19” rack installation method. Air pressure: 62kPa ~ 102kPa. 5.3 Surface treatment: degreasing, derusting, rustproof phosphating (or galvanizing), powder coated. 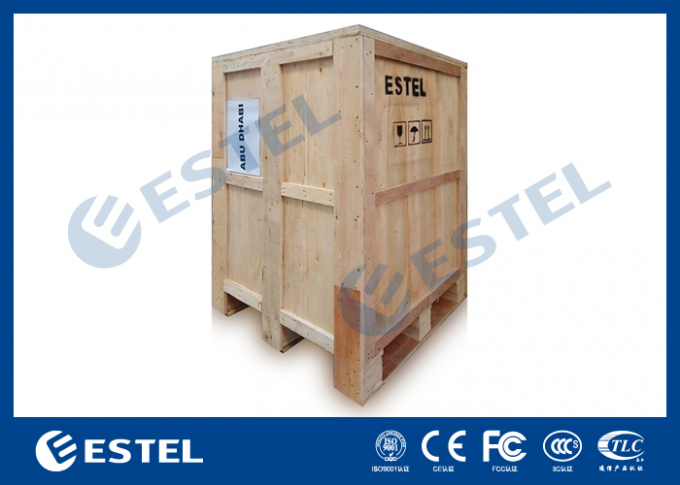 5.4 Cabinet load bearing: ≥300kg. 5.6 Flame retardance: comply with GB5169.7 test A. 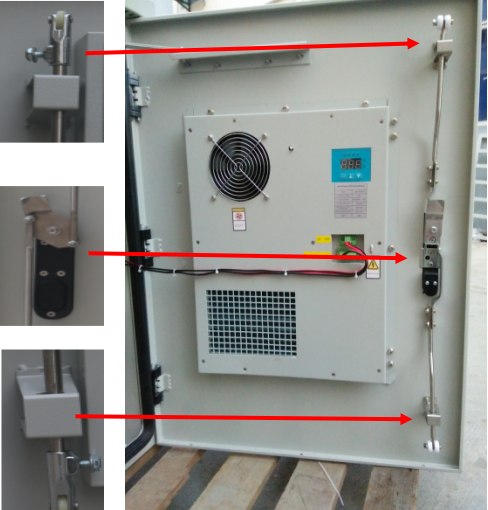 5.7 Insulation resistance: the insulation resistance between grounding devices and cabinet body parts is not lower than 2X104M/500V(DC). 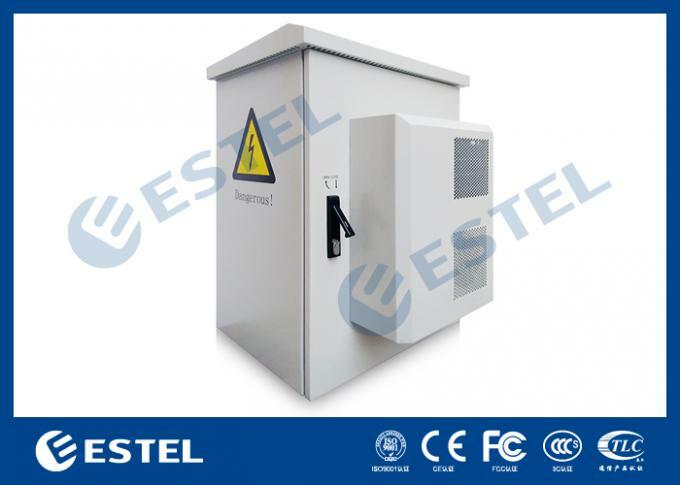 5.8 Withstand voltage: the withstand voltage between grounding devices and cabinet body parts is not lower than 3000V(DC)/1min. 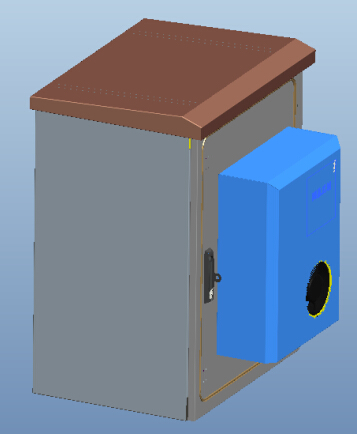 5.9 Mechanical strength: each surface can bear upright pressure＞980N; after the door is open, its outer end can bear upright pressure ＞200N. 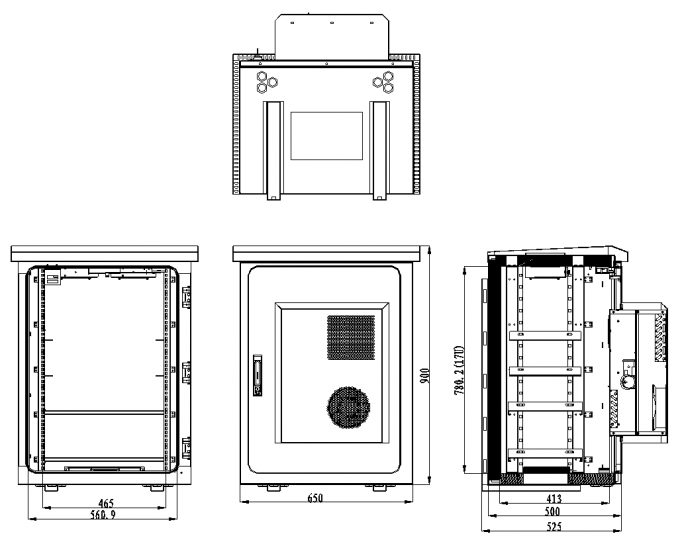 Cabinet External Size : 650×525×900mm (W×D×H). 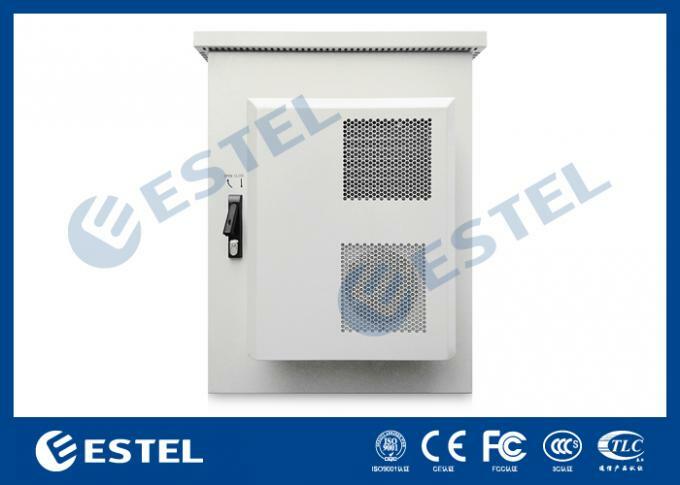 LED illumination lamp, door sensor, fans are installed at the top part of the cabinet. All outside cables use bottom entrance method. 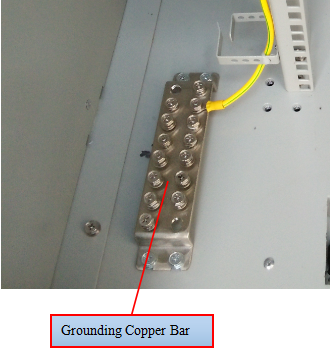 (1) The cabinet includes grounding copper bar with anti-corrosion coating. There are enough screws for wiring connection terminals. 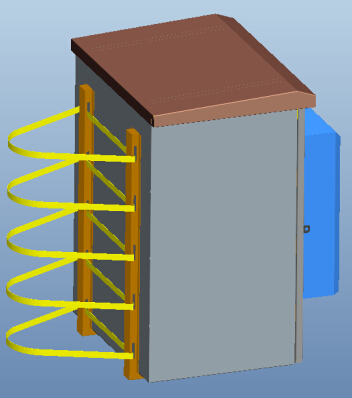 (2) The metal part of the cabinet should be interconnected and be connected with grounding bar. Connection resistance between any two points is lower than 0.1Ω. class B requirement, supporting padlock. 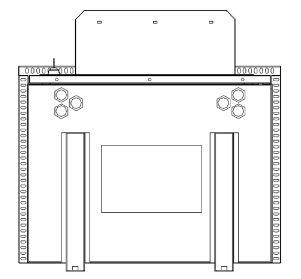 Install the cabinet as the following diagram.